France introduced a national campaign in the fight to eradicate anti-LGBTI incidents in middle and high schools across the country. Starting today (28 January), France’s Ministry of National Education and Youth launched All Equal, All Allies. 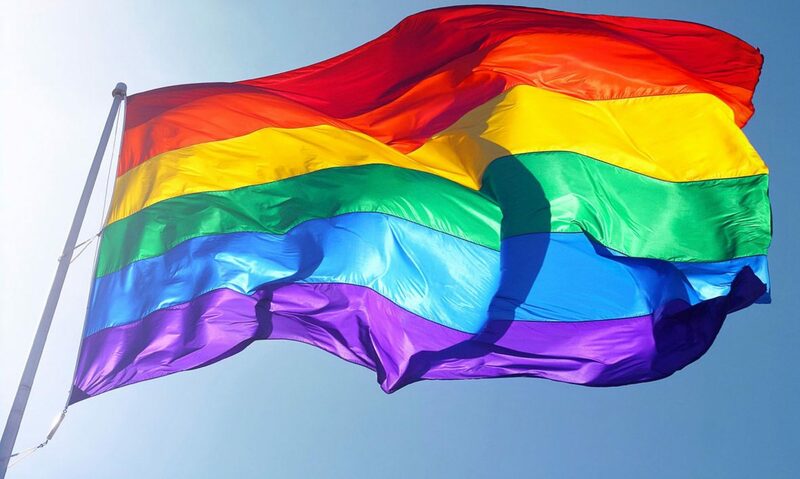 It’s a campaign that ensures all state schools put up anti-bullying posters, as well as provide accompanying guides about LGBTI students for teachers. SOS Homophobia spearheaded the campaign, which aims to make LGBTI youth in France feel more included at school. They found an increase of reports of anti-LGBTI incidents by 38% in the last year. Their recent report also said this causes decreased self-esteem, isolation and dropping out of school. The risk of suicide attempts remains four times higher for LGBTI youth than for the rest of the population. In November last year, a French LGBTI activist group warned of an increase in anti-gay attacks across the country. Across France, complaints of homophobic attacks increased by 15% since the beginning of 2018. A number of French LGBTI rights activists also believe that the number of people to experience homophobic attacks or abuse is widely underreported. ‘This is just the tip of the iceberg,’ said the spokesperson for rights group Inter-LGBT, Clémence Zamora-Cruz. ‘On the ground, many attacks go unreported. Often, victims don’t complain for fear of reprisals, or because they’re afraid of speaking to police officers who aren’t aware of issues relating to LGBT identity. Last month, a handful of French artists got together to release a song to help tackle homophobia. De l’Amour tells the story of gay refugee Azamat, with all proceeds raised going to French charity Urgence Homophobie (Emergency Homophobia). Among the artists volunteering to sing on the track and appear in an evocative video were Emmanuel Moire, Christophe Willem and Muriel Robin. The situation in Chechnya is urgent. 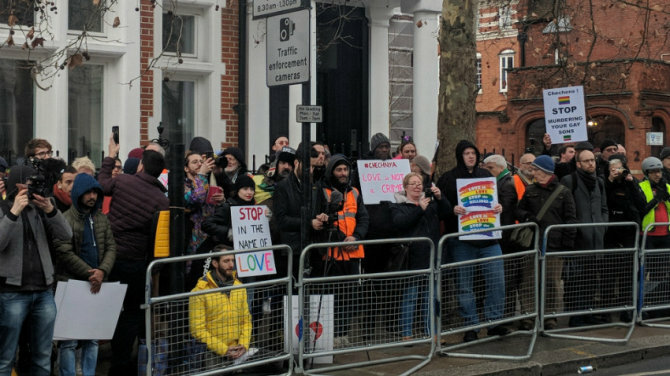 That’s why nearly one hundred people flocked to a rally outside of the Russian embassy in London to call for an end to the persecution of gay men and women there. Since April 2017, authorities in the northern Caucuses have been rounding up people based on their real or perceived sexuality. They’ve tortured them in the most horrifying ways and in some cases, executed these people because of their sexuality. Every time international attention has focused on Chechnya, the persecution stops for awhile. But in late December, authorities rounded up 40 people and tortured two of them to death. Volunteers at the Russian LGBTI Network are working around the clock to get the persecutions not only out of Chechnya, but also Russia. But to do that they need the support of the LGBTI community around the world. 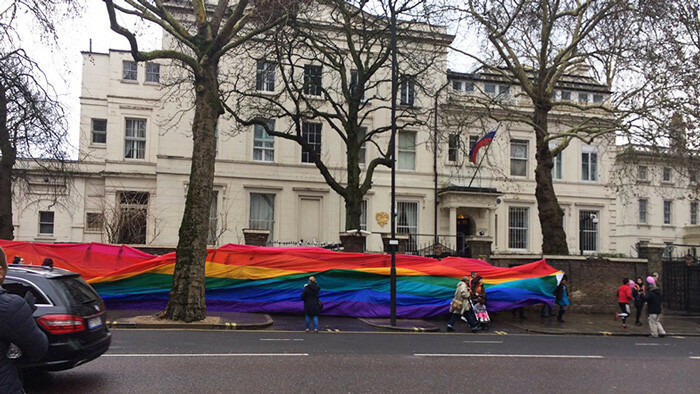 That’s why hundreds of people crowded around the Russian embassy in London to make sure their voices are heard. ‘LGBTI people in Chechnya urgently need our help to save them from imprisonment, torture and murder. DONATIONS. 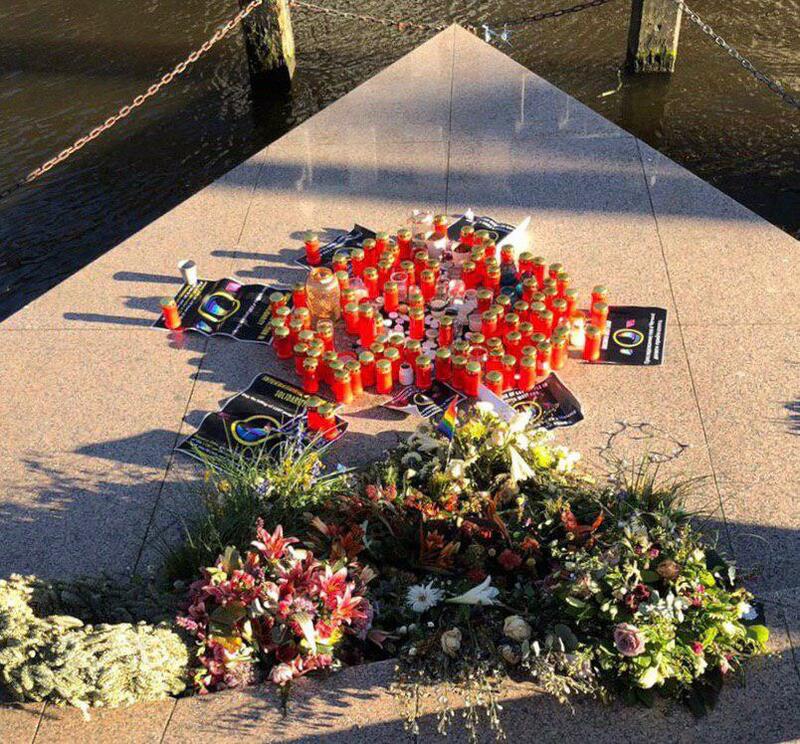 The rally in memory of LGBT victims in Chechnya was held in Amsterdam (Netherlands) on the Homomonument on January 20, 2019. LGBT World Beside is an organization founded by refugees who survived the “first wave” of LGBT persecution in Chechnya. We and our friends and relatives who remained in Russia are living witnesses of how the Chechen authorities tried purposely violate us. Now that a new wave of persecution has begun in Chechnya, we are again afraid for ourselves and for the safety of our loved ones,there. We demand from the Russian authorities to end up persecution and physical violence against LGBT in Chechnya and effectively investigate all crimes of the past weeks. We also appeal to the world community, to the authorities of democratic states that have signed the World Declaration of Human Rights and the Convention on the Status of Refugees, not to refuse assistance to LGBT refugees from Chechnya, who literally have to choose between life and death. The Russian public has responded to the persecution and murder of gays and lesbians in the territory of the Chechen Republic. 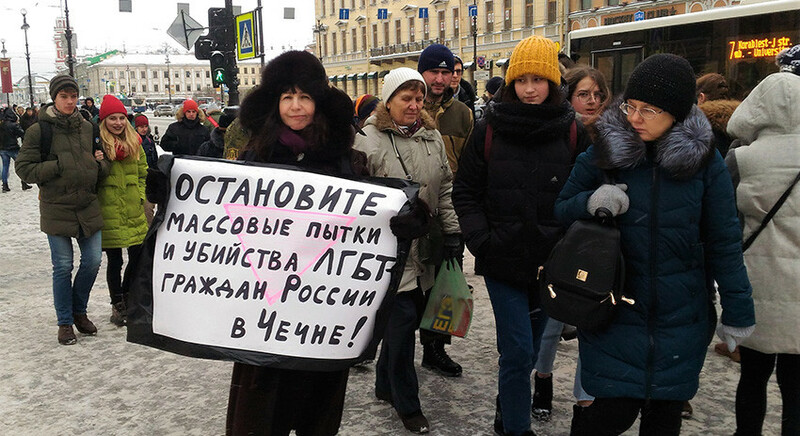 January 20 in the country began the campaign # saveLGBTinRussia. 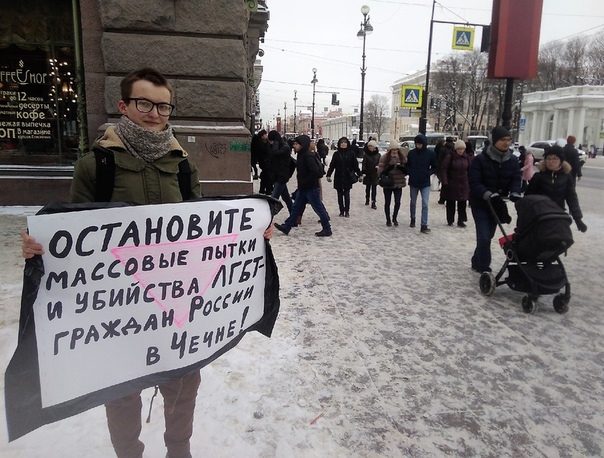 Pickets demanding to stop crimes against LGBT people, as well as to bring to justice all those involved in torture and murder were held in Yaroslavl, Nizhny Novgorod and St. Petersburg. Georgia joined the campaign: in Batumi, they also came out in support of one of the most discriminated groups in Russia today. “The reason for the campaign was the recent resumption of persecution, abduction, torture and murder of LGBT citizens in Chechnya. 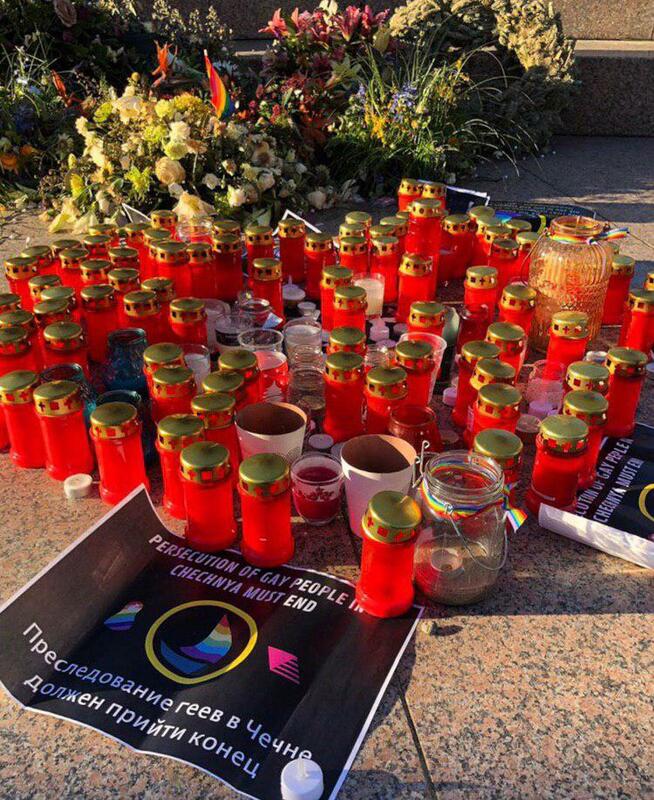 This region of Russia, where, according to its leadership, LGBT people do not exist, is a vivid example of the genocide to which the silence of LGBT issues in Russia, the violation of human rights and impunity of crimes against LGBT people can lead ”- organizers of St. Petersburg pickets write from the group Alliance of heterosexuals and LGBT for equality. 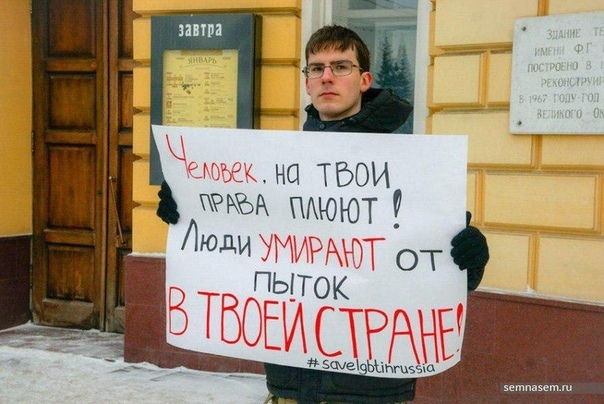 According to public figures, in Nizhny Novgorod, unknown persons attacked an activist and tore up a poster. 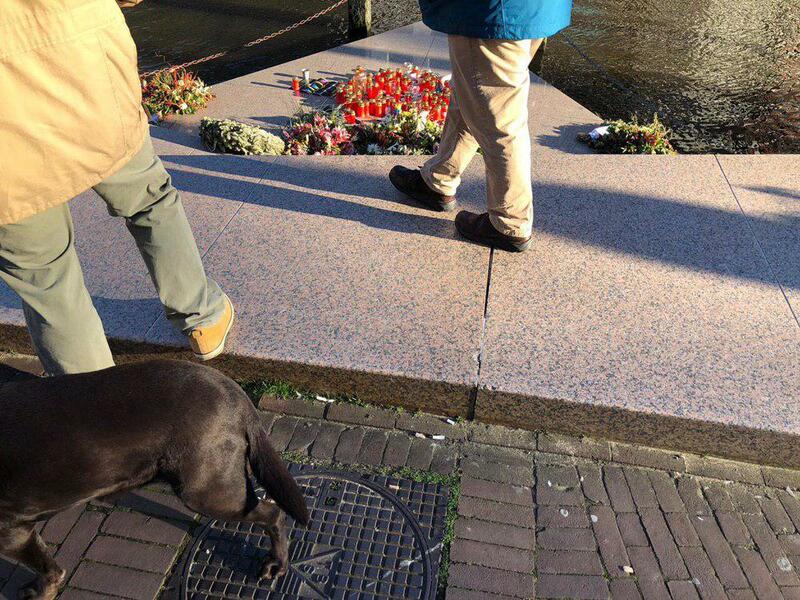 In other cities, fortunately, there were no incidents. 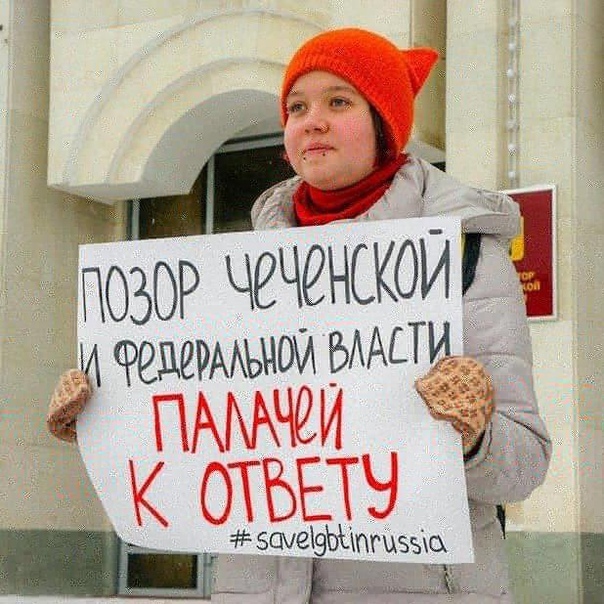 The week of unified actions, during which any person can stand in a single picket or take a picture with a poster in support of LGBT people on the streets of their city and post photos with the hashtag #saveLGBTinRussia, started and will last until January 27th. heterosexuals and LGBT for equality, together with regional LGBT initiatives. The announcement of the search for “gay hunters” appeared in runet. We invite to cooperation “aggressive to LGBT” sports young people who own fighting equipment. For violence against a person of “wrong” orientation, the organizers of “geykhanterstvo” promise to pay up to 300 thousand rubles. Informational announcement was published on a special site on January 19. It was created in 2014 and positions itself as an information resource of the Union of Homophobes of Russia, the CIS countries, Syria and Iran. Among the tasks that “hunters” will have to perform are identifying members of sexual minorities, disrupting LGBT actions, fighting in gay clubs, and beating up gay people, setting up a base, transporting LGBT people to the Republic of Chechnya. “Almost everything can be done except for the killings,” says the announcement, which is accompanied by a photograph of the leader of Chechnya, Ramzan Kadyrov. Those who are ready to open the hunt for “stinking homosexuals” are invited to send resumes by mail. For the fulfillment of the test task, the “gayhanters” promise to pay 10 thousand rubles, in the future the rates will increase, indicated on the website. “Hunting for gays” is planned to start in the following regions: Stavropol Territory, Chechen Republic, Republic of Dagestan, Samara Region, Sverdlovsk Region, Republic of Bashkortostan, Tatarstan and Udmurtia, Chelyabinsk Region, Perm Region, Saratov and Orenburg Regions. In the future, it is also planned to open hunting in Moscow, St. Petersburg, Arkhangelsk, Murmansk, Yaroslavl, Tula, Voronezh, Nizhny Novgorod, Ulyanovsk, Volgograd, Ryazan, Penza, Novy Urengoy, Omsk and Novosibirsk. Earlier News.ru reported on the persecution of LGBT people in Chechnya. 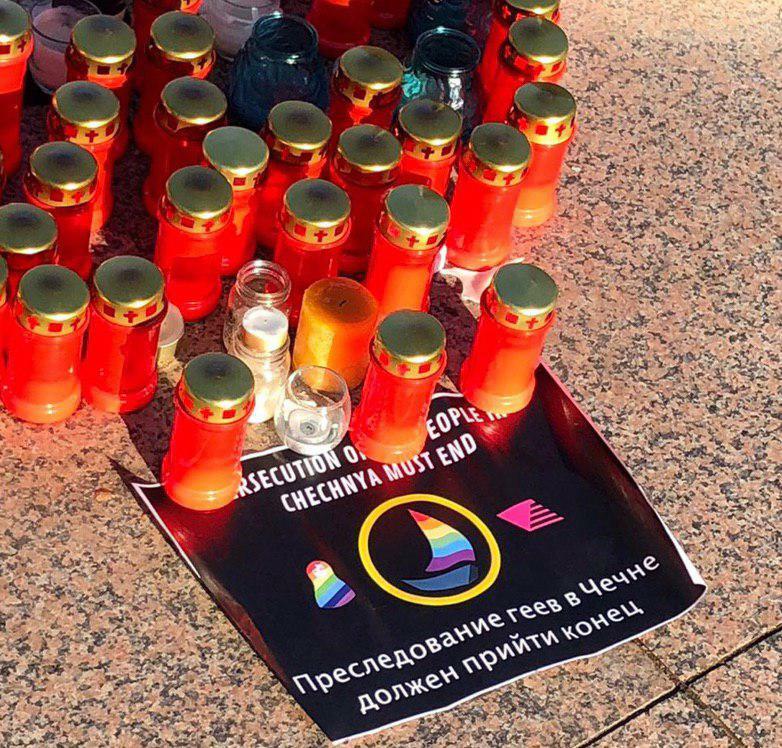 According to representatives of the Russian LGBT network, about 40 men and women of non-traditional sexual orientation were detained, two of them died in police departments.